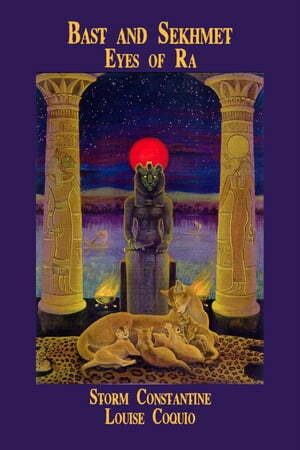 Collins Booksellers - Bast and Sekhmet: Eyes of Ra by Storm Constantine & Louise Coquio, 9781513046785. Buy this book online. A unique work on the history and magic of the Egyptian feline goddesses, Bast and Sekhmet, from the ancient land of majestic splendour and long-held secrets. Practising pagans Storm Constantine and Eloise Coquio discuss the important role cats - who have been both worshipped as gods and reviled as demons - play in many people's lives, not just as pets but as spiritual totems. A manual for magic incorporates all the rituals the authors' circle have used, with suggestions for creating one's own, whether working solo or in groups. Also discussed are such aspects as temple creation, attuning with your own cat familiar, and ritual techniques.